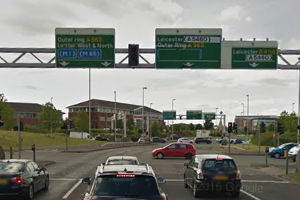 11,228 drivers were caught running red lights in Leicester and Leicestershire in 2012. 4,780 of these were ‘flashed’ by the fixed camera on the A563 Soar Valley Way, near Fosse Park. Recently, Damhanti Jivan (52), of Sunbury Green, Thurnby Lodge, found it expensive when she pleaded guilty at Leicester Magistrates’ Court of failing to comply with a red traffic light signal. The offence occurred on 12th December last year at the A563 Soar Valley Way, junction with the B4114, Enderby. She was fined £135 with a £20 victim surcharge, £85 costs and three penalty points were put on her driving licence.